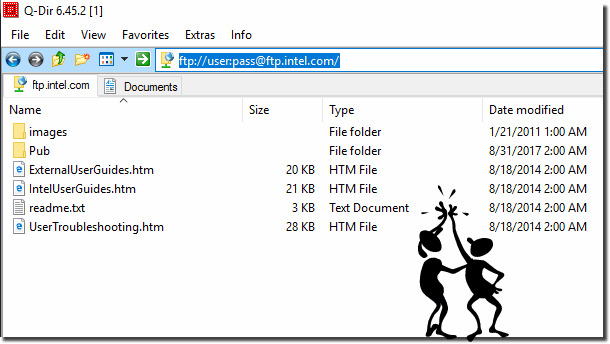 Won´t do password protected FTP in Explorer Views Addressbar! Explorer Views in Quad-Directory Explorer has only the MS internal FTP! Test this in all List Views of the file manager Q-Dir! But only on secure PC and protect your links and favorites! Q-DIR - FAQ-39: Won´t do password protected FTP in Explorer Views Addressbar! How can i synchronize directories in Explorer-Views whit xcopy.exe?